I have struggled with terrible fatigue for many, many years. This product has definitely helped me. I am able to function. I can literally feel when it kicks in. 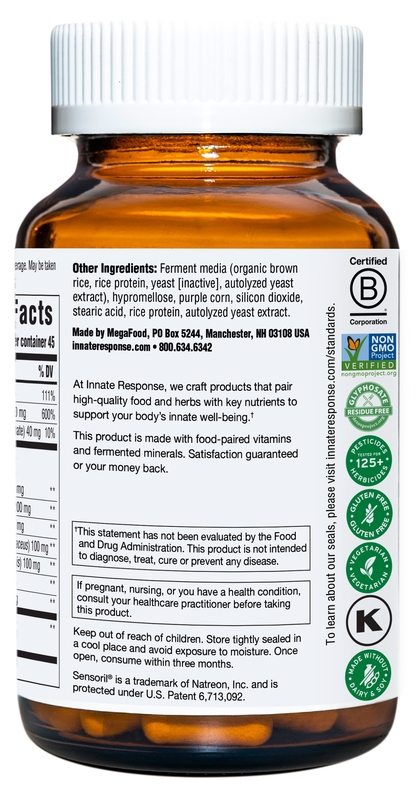 I was advised to use this Adrenal Response Complete Care by Innate Response Formulas to improve my adrenal health. I been using it for years & it still helps me get thru the day. Tested & Assayed for Potency & Purity! 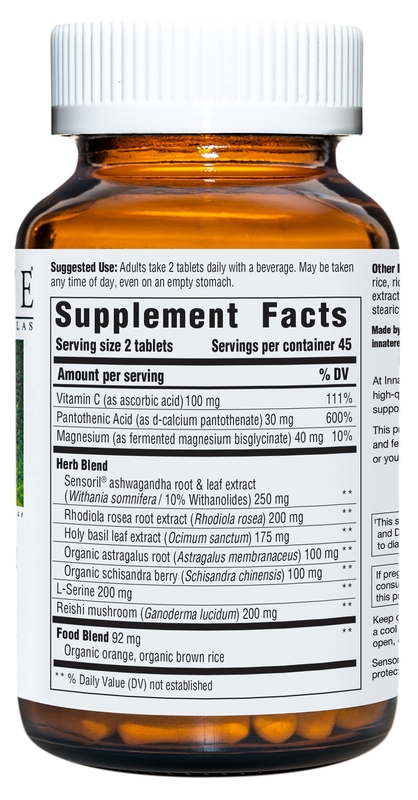 Adrenal Response Complete Care is a thoroughly researched adaptogenic formula‚ using clinically proven herbs‚ nutrients and whole foods to support optimal function of the adrenal glands. This formula is targeted at supporting adrenal gland balance‚ with a specific focus on maintaining healthy cortisol levels. Cortisol is a stress hormone produced by the adrenal glands and maintaining healthy levels is key to promoting a healthy stress response. Non-GMO / Gluten-Free / Vegetarian / Pesticide-Free / Herbicide-Free / Soy-Free / Dairy-Free / No Magnesium / Kosher. 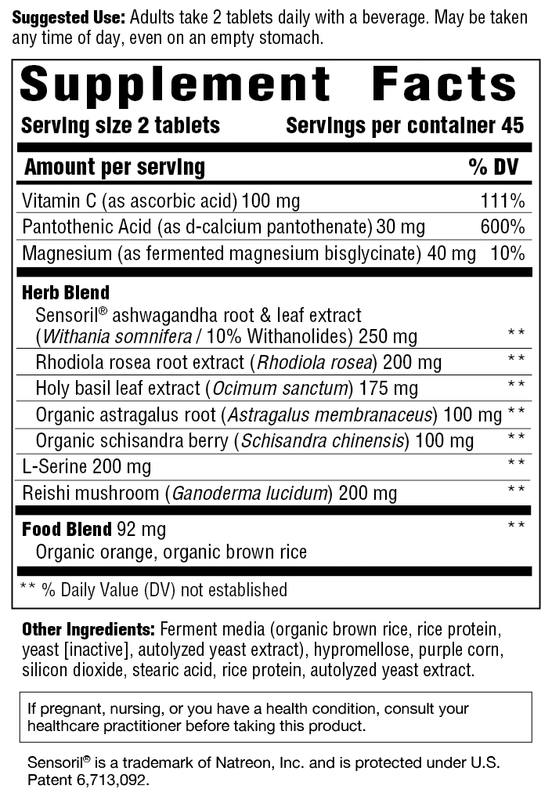 2 tablets daily‚ or as directed by your healthcare practitioner. May be taken anytime throughout the day‚ even on an empty stomach. 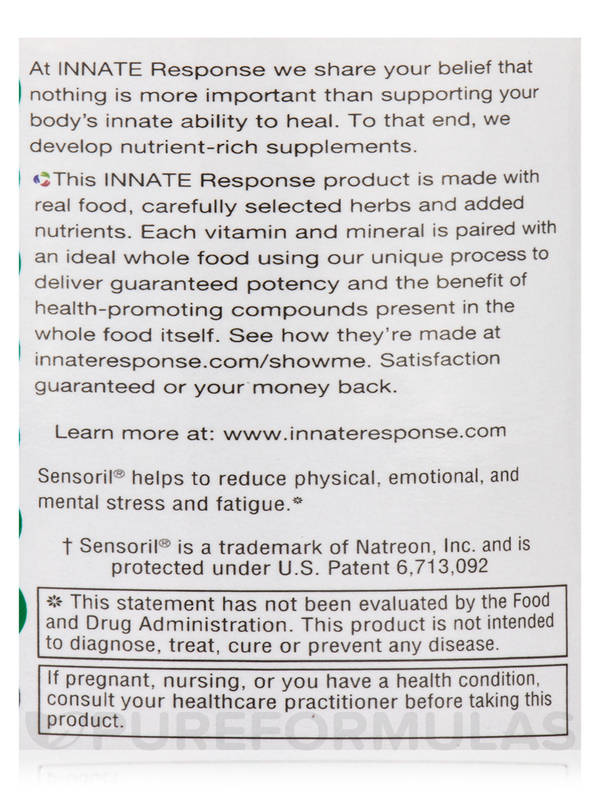 If pregnant‚ nursing‚ or you have a health condition‚ consult your healthcare practitioner before taking this product. It’s pricey but I make due because it’s worth it. My adrenals had crashed and I had no energy to do anything. My doctor recommended Adrenal Response Complete Care by Innate Response Formulas to me. It has helped my long road back. I continue to take them. It has nourished my adrenals and I now have some of my energy back. For some reason coffee has had an effect on me that I was not happy with....the caffeine in it puts me to sleep! I could sleep all night and sit in my chair for a while, close my eyes and wake up two hours later. My Herbal Medicine book gave me the info that showed me what was wrong. Adrenal fatigue! Since I started taking Adrenal Response Complete Care by Innate Response Formulas I don't have that problem any more even though I have cut down on the coffee to 2 cups in the morning. However, I wasn't drinking that much more to begin with. I am happy with this product so I can have a cup or two in the mornings and not feel guilty about it. Keeps my adrenals working well. Really does a good job. I take 2 a day. I have been taking Adrenal Response Complete Care by Innate Response Formulas for 2 years and i've had continued improvement. It is easy to take, no side effects, and seems to help my blood levels. I had brain tumor removal surgery and was feeling drained for over 2 months My ND recommended Adrenal Response Complete Care and it helped me bounce back quite a bit since taking it. Energy level has improved finally feeling human again. The pill agrees with me as well no problems digesting it (Ive had problems with vitamins & supplements in the past so I tend to not take them). Its pricey but its worth it to me. 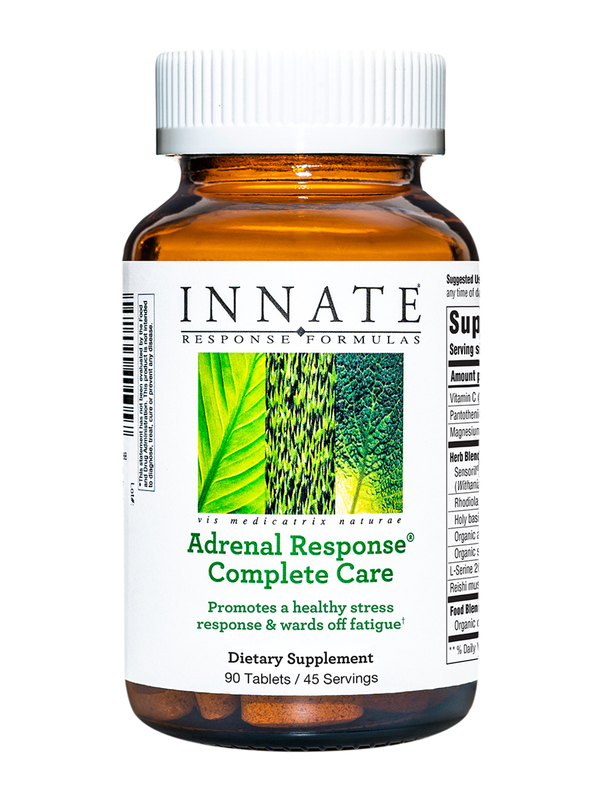 Adrenal Response Complete by Innate Response Formulas is a great supplement. Its rather expensive but it gets the job done. My physician recommended it and it did what he said it would. I appreciated the value offered by PureFormulas and will order form them again. Large brittle pill. Several of the pills were broken in each of two bottles I received.